In the middle of the global explosion of Electronic Dance Music, a genre that thrives in the most exclusive nightclubs of the world’s cosmopolitan cities, a prodigious producer has emerged from the unlikeliest of places. The small seaport town of Mystic, Connecticut, has been the home of Audien (AKA Nate Rathbun) for his entire life, and it was in a small apartment in Mystic where Audien began creating music in 2008. Using a very basic set up, and a secret cocktail of plug-ins, Audien worked diligently to hone his craft. By age 17, while his friends were either preparing college applications or teeing up jobs, Audien began to test the waters by sending his unsolicited music out to producers, labels & bloggers. Though confident in his sound, Audien carefully managed his expectations, suspecting it was unlikely that he’d hear back from a random demo submission. An enthusiastic response came, however, from Flashover Recordings, the trance label owned by beloved Dutch Producer/DJ Ferry Corsten. Audien’s single ‘Rise & Shine’ was released, and soon thereafter he was off to the races. Over the next two years, a slew of renowned labels came calling, gravitating towards Audien’s stunning melodies and innovative sonic landscapes. Audien worked meticulously but prolifically, churning out anthems and remixes for labels including Enhanced, Perceptive, Armada, Black Hole, Nervous, with tracks routinely charting on Beatport. Audien’s tracks also began to appear on compilations assembled by some of the genre’s giants, including ‘Corsten’s Countdown’, Tiësto’s ‘Club Life’, Above & Beyond’s ‘Trance Around The World’, and Armin van Buuren’s ‘A State of Trance’. A particularly exciting opportunity presented itself in May of 2011, when Audien had the opportunity to open for van Buuren at New York’s Roseland. In just 3 years, Audien had gone from idolizing van Buuren to sharing a stage with him. 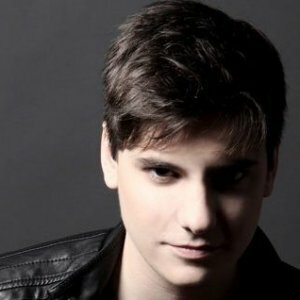 As Audien continued releasing tracks into 2012, his music evolved to include elements of progressive house. The monster 2012 release ‘These Are The Days’ was lauded by influential blog Dancing Astronaut as a “catchy summer anthem”, while The Top Sound noted “the combination of flawless evolution, beautiful piano chords, & trance-y plucks makes this an absolutely brilliant track.” Never straying far from his roots, Audien released his highly acclaimed song ‘Eventide’ on Anjunabeats in August of 2012. Audien’s relationship with Above & Beyond continued to blossom through the fall; in November, A&B premiered Audien’s track ‘Wayfarer’ as the first ever song played on their new radio show, Above & Beyond ‘Group Therapy’. Elsewhere in November 2012, Audien released the incendiary progressive house track ‘SUP’, via Trice Recordings. ‘SUP’ was featured by Dutch icon Hardwell on episode 87 of ‘Hardwell On Air’. Commenting on the track, Elektro magazine declared, “… this production takes its listeners on a roller coaster ride of uplifting synth progressions, chaotic builds, and hard, bouncing drops that holds the ability to move crowds wherever this banger is played.” Shortly after the track’s release, Audien joined Hardwell on tour for dates in New York & Boston. 2013 witnessed the release of the iconic ‘Circles’ featuring Ruby Prophet, as well as ‘Leaving You’ featuring Michael S, which was nominated for a Sirius XM BPM award. He was also nominated for ‘Best New Artist of 2013’. With his ability to create fresh tracks on auto-pilot, Audien has turned his attention to performing live, a craft he takes just a seriously as his production. Audien recently performed at some of the hottest clubs in the US including L.A.’s Exchange & Lure, San Francisco’s Ruby Skye & Harlot, New York’s Pacha, XS in Las Vegas, and Miami’s LIV. With more big shows forthcoming, Audien is ready to continue his rapid rise out of Mystic, and tour the world.